Follow these best practices to ensure you create a loyalty program that works perfectly in-store only. Want to run an in-store only loyalty program? This step-by-step set-up guide will help you create a program that works as it should in-store. 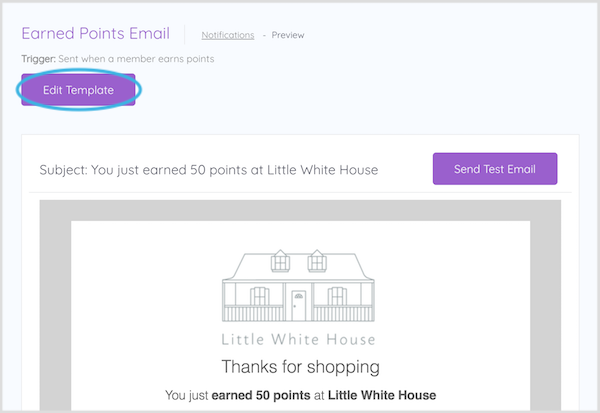 📝 Note: Because you need to avoid sending members to your loyalty widget (see above note), we advise only rewarding points for Making a Purchase. 📝 Note: This amount must be greater than zero. Creating rewards is easy. There's no need to create coupon codes - these are automatically generated when a member spends their points to redeem the reward in-store. Coupon codes are unique and only work once. ✨$ off storewide - It’s always nice to get a discount, and offering your members the chance to earn store credit allows them to choose what they spend it on at your store. 📝Note: You can change your currency in Settings.✨% off storewide - Giving your members a percentage discount encourages them to spend more to make the most of the % discount. Terms: It's a good idea to add: In-store only. Not to be used in conjunction with any other offer. 📝Note: You can create more advanced reward types for in-store use, however we do recommend advanced rewards for online only. If you want to have them available in-store as well, they require strict staff training to ensure the correct items are added to the sale and that any spend conditions are met. Read more about the rewards you can create and in-store redemption requirements. Emails are off by default. You have two options to make sure email notifications are configured correctly for your in-store only program, remembering that you need to avoid sending members to your loyalty widget (see above note). Option 1: Keep all email notifications turned OFF. Option 2: Edit and turn on your Earned Points Email and/or Reward Unlocked Email. Important: Leave all other emails turned off, as these contain coupon codes. 📝Note: If you choose option 2, you will need to edit these email templates to remove all links back to your loyalty widget to ensure that members can't access coupon codes to use online. Want to customize the messaging and design of your emails? Read more on email customization. 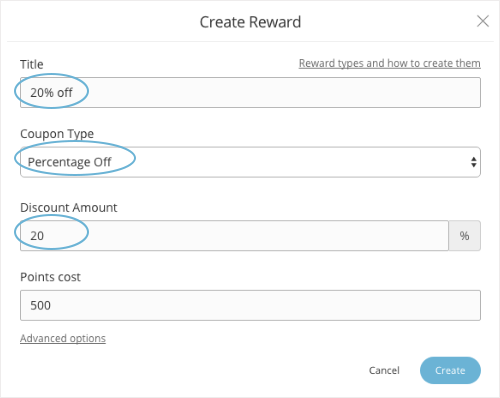 Make sure you are happy with your loyalty program preferences under your Settings page. 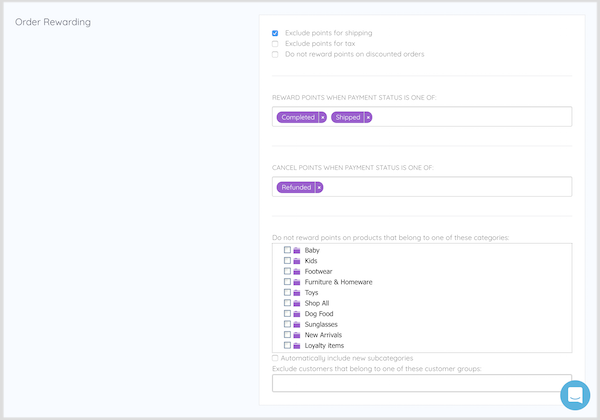 Store Details - Update your store name, currency, and name your loyalty 'points' label. Email Notifications - If you are using email notifications, update your sender name and email address so your members can recognize your store's loyalty emails. Order Rewarding - Choose how and when members earn points on orders: - Decide if members earn points on tax and discounted orders.- Choose when members earn points based on payment status.- Choose when to cancel points on refunds.- Set any products or collections you'd like to prevent members earning points on and when to cancel points. - Make sure you're processing POS only orders. If you haven't already, in your admin, go to Shopify POS, then click Enable POS loyalty. This will turn your loyalty program on in your Shopify POS. It's that easy! 📝 Note: For your loyalty program to work in-store, it needs to be Active. You can check this on your Status page. Now, your new loyalty program is up and running. New customers can join in-store and your current members can earn points and redeem rewards with you. It's a good idea to get all checkout staff to do a couple of practice runs using your loyalty program through your Shopify POS. That way, when it come's to real customers, they will be more confident. This guide will walk you through adding a new customer, rewarding points for purchases automatically, and redeeming a reward. How do I get my staff trained up to run my loyalty program in-store? Once your staff have had a few practice runs at using your new program, it's easy. Here are some resources to get them familiar with how it all works. How do I promote my loyalty program in-store? It's a great idea to prompt customers to ask to join, by designing posters for in dressing rooms and at the counter. What if later I decide to add my program online too? No problem, simply follow the steps bellow to turn on your loyalty program on your online store. Turn your loyalty widget tab on (Or create a tabless program). Choose which emails to send, and if you deleted the links to your loyalty widget, add these back into your emails. To do this, click Restore to default. Under Settings > Order Rewarding, select to process Both Online & POS orders.